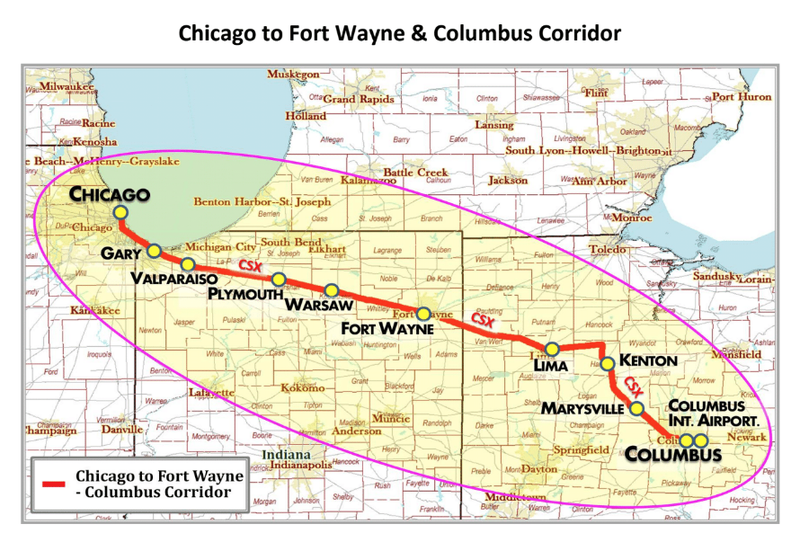 Mission Statement: Northern Indiana Passenger Rail partners with community stakeholders, business leaders, and government leaders to bring modern passenger rail service back to Fort Wayne and the communities of northern Indiana with strategic connections to surrounding states. What we’re doing and why: The Northern Indiana Passenger Rail Association (NIPRA) is dedicated to bringing customer-focused passenger rail service back to Fort Wayne and the communities that make up the northern part of the Hoosier State. We believe that a healthy, thriving transportation system that gives options to northern Indiana residents should include passenger rail along with highway and air travel. Such options, whether you travel or not, will mean a stronger economy, new jobs, enhanced security, a cleaner environment, and an overall better quality of life. NIPRA is working with local elected and appointed officials and business leaders in our region to promote the return of passenger rail service to Fort Wayne, Indiana. Part of that vision includes showcasing the refurbished Baker Street Train Station and the significant resident feedback generated in support of passenger train service in and out of Fort Wayne. Since 2009, Fort Wayne Mayor Thomas Henry has allocated city funding and dedicated staffing resources to help us achieve our mission. 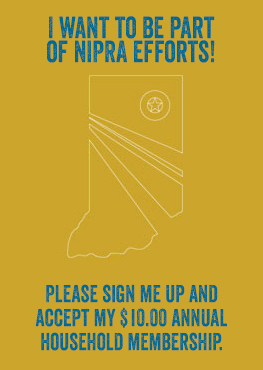 In just the past few years, NIPRA staged a series of large public rallies to urge Indiana to apply for Federal passenger rail funds. 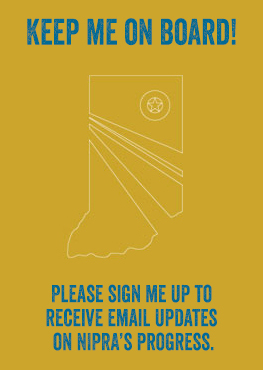 NIPRA has and continues to vigorously lobby Amtrak, state legislators, and Indiana for funding to return passenger rail travel from and to Fort Wayne. Since 2011, NIPRA has actively developed strategic partnerships creating new momentum with the Federal Railroad Administration (FRA) to set up a designated passenger rail service route from Chicago, Illinois to Columbus, Ohio. By late 2015 a Memorandum of Agreement to support the activities necessary to complete the required analyses and studies of the Tier 1 Environmental Impact Study (EIS), had been signed by the Mayors of all nine cities along the corridor, the Indiana Department of Transportation, all five of the Metropolitan Planning Organizations along the corridor, as well as numerous City and County Councilman along the route. In 2013, NIPRA completed a business impact study for the proposed passenger rail route using the consulting firm of Transportation Economics and Management, Inc. (TEMS). This study indicates that a Chicago-Columbus rail route provides an economically beneficial passenger link between the Federally-approved Chicago Gateway and the Ohio “3-C” (Cleveland, Columbus, Cincinnati) rail corridors approved by the Federal Railroad Administration (FRA). A multi-state public and private partnership is required for rail corridor construction and operation. The proposed passenger rail routes provide an encouraging cost to benefit operating ratio and meet the FRA-mandated “independent utility” requirements for being economically self-sufficient without requiring ongoing additional funds from the FRA or partner states. Jordan Burkholder – Product Manager – Rail, Steel Dynamics Inc.
Robert King – Sales and Marketing Manager, Steel Dynamics, Inc.
Adam Welch – Director of Business Development, Greater Fort Wayne, Inc.
As Indiana’s second largest city and a regional hub for commerce and travel, the City of Fort Wayne recognizes the importance of returning passenger rail service to its community. 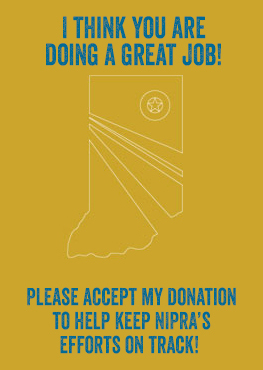 From NIPRA’s beginning, City officials identified the organization’s efforts as deserving of support as well as partnership. Understanding that the community will benefit from passenger rail service, Mayor Tom Henry approved funding and resources for the passenger rail project in 2009. Since then, City staff have worked alongside NIPRA volunteers to complete necessary feasibility and environmental planning; to connect and develop relationships with public officials, private businesses and other advocacy groups; and to generate community involvement and support. This partnership has afforded both NIPRA and the City of Fort Wayne with progress that will put the community back on the map for passenger rail service. Steel Dynamics has its Structural and Rail Division located in Columbia City, Indiana. A proprietary, in-house developed rail head hardening process allows SDI’s mini-mill operation to be the preeminent provider of quality rail in North America, serving the Class 1 railroad customers. Integral to our commitment to our customers, our facility provides a ‘one-stop-shop’ for our rail customers. SDI has had a seat on the NIPRA Board and provided financial support for operations for over five years. Their continued commitment to restoring passenger service is a vital asset to the NIPRA community. OrthoWorx is a non-profit formed in 2009 to preserve and extend our region’s legacy as the Orthopedic Capital.® Based in Warsaw, Indiana, we work with orthopedic industry members, academic partners and community leaders to capitalize on the resources and expertise across our region and in our industry to achieve common goals. Orthoworx has had an interest in passenger rail for many years, commissioning an economic impact study in 2010 of passenger rail from Chicago to Warsaw in 2010. When contacted by NIPRA a few years later they financially contributed to the next step, an Environmental Assessment, a federal process required to return passenger rail to Warsaw and Fort Wayne. Do it Best Corp. is a member-owned cooperative of thousands of hardware stores, home centers, and lumberyards in the United States and in 52 countries around the world. Do it Best Corp. is headquartered in Fort Wayne, IN. They see the economic benefit of passenger rail to the Fort Wayne community and financially committed to the Environment Assessment.